For Mavis Staples, 'One True Vine' Brings Together Kindred Spirits Produced by Wilco frontman Jeff Tweedy, the soul singer's new album follows a narrative arc of struggle, acceptance and salvation. Tweedy's arrangements leave room for Staples' full range of vocal expression, from an R&B growl to gospel fervor. Mavis Staples has been performing for more than six decades. One True Vine is her second album-length collaboration with Wilco frontman Jeff Tweedy. 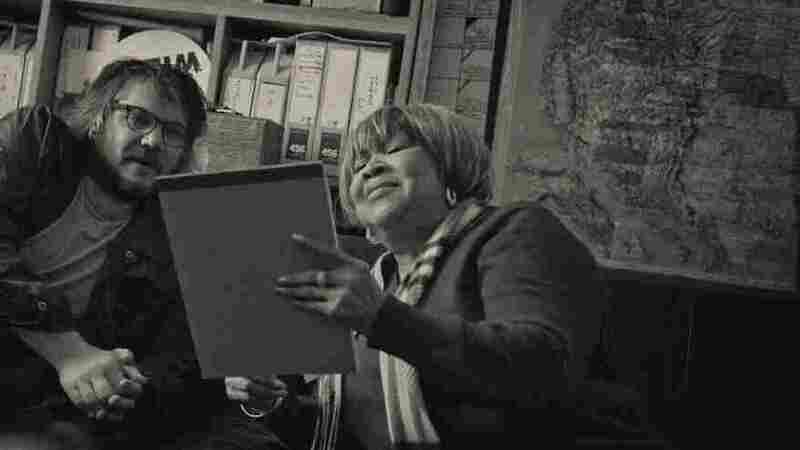 On their second collaboration, One True Vine, Mavis Staples and Jeff Tweedy assemble a story using songs written by various artists, dotted by frequent lyrical references to The Staple Singers. The album follows a narrative arc of struggle, acceptance and salvation that's mirrored in the crescendo and decrescendo of the music, starting out low and slow. As Staples' new album builds, she wrestles with life's travails, but her faith is always there, offering refuge. Even a secular song, like Funkadelic's "Can You Get to That," feels deeply spiritual with Staples' bold voice leading the other singers as if heading up a church choir. Staples brings the album gently back down at its end with the title track, which Tweedy wrote and originally recorded with Wilco. Tweedy not only produced the album, but he plays almost all of the instruments on it, as well, with an assist from his teenage son Spencer on drums. Tweedy's arrangements are stripped down and spacious, giving Staples room for her full range of vocal expression, from an R&B growl to gospel fervor. The studio atmospherics he's developed over years of self-recording put the iconic singer in an effective new framework, turning a legendary, distinctive voice into moody, contemporary roots music. In the 1960s and '70s, Staples brought spirituality and social consciousness to a pop audience. She never stopped evolving as a musician, working with artists like The Band, John Scofield, Burt Bacharach and too many others to mention. In Tweedy, Staples has found a kindred spirit — a fellow musical seeker, a versatile collaborator and the perfect partner to recontextualize what she does best for a generation that grew up listening to bands like his.